Pawan: Indiaplaza has been one of the oldest & successful online stores in India with 10 million products. What is IndiaPlaza.com all about? Shriram: Indiaplaza.com is the only e-commerce portal that offers a reasonable breadth, width and depth of products across several product categories at very low prices. There are various e-comemrce portals today in India that are category specific, but Indiaplaza.com is the only horizontal portal that offers a choice and range to e-shoppers to choose from. So while someone has purchased a mobile phone for themselves, they could also consider buying a bottle of perfume for their loved ones or toys for their children. From household appliances to daily use cosmetics, it is all available at Indiaplaza.com under one roof. Within the next six months, the range is expected to double, while also improving our customer service to world-class levels. And most importantly, Indiaplaza.com is the only place where shoppers earn loyalty points for their purchases. Pawan: What are the challenges in the SBU you are heading at Indiaplaza.com and how do you plan to deal with them? Shriram: Our business model is unique while compared to that of others. We do not follow a warehouse model, thereby saving millions of dollars to the investors, while at the same time offering and serving our customers to the best of our abilities. Selling Lifestyle products to customers online is easier said than done. While for generic categories such as perfumes, cosmetics, baby wear and toys it is easier to sell without a trial – without a “touch and feel”, it is indeed challenging to sell footwear and formal wear shirts to men or gowns and dresses to women. However, we are building a portfolio of products which are reasonably standardized and therefore customers can buy without bothering about size and (mis)fits. Further, Indiaplaza.com allows a no questions asked return policy, thereby allowing shoppers to buy their preferred products without any concerns. Over the next six months, the Lifestyle selection at Indiaplaza.com would boast of a full range of products that fulfill the entire wardrobe requirements – from shampoo to deodorants, from customized collars and cuffs on shirts to awesome footwear! Pawan: What is your view on e-Business growth in India? Shriram: Indiaplaza.com (formerly fabmart.com) has been operating in this space since 1999, when there were only 3 million online users. According to various estimates, that number is now hovering around 100 million users, of which over 10% of them are active e-commerce patrons. The coming years are going to be rather interesting. 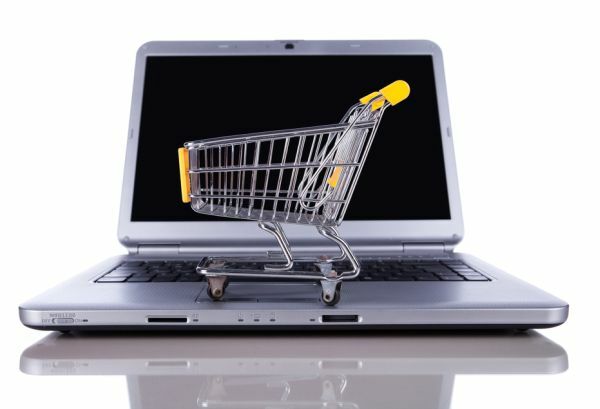 With the internet moving away from traditional desktops to laptops, tablets, mobile phones and smart phones, there would be more opportunities for shoppers to consume online. 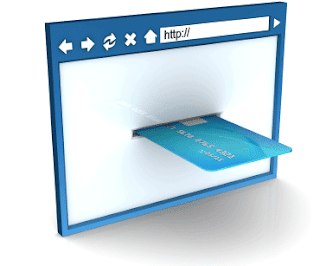 Shopping on the internet is not just about saving a few bucks, but also about saving precious time and the effort associated with it. Imagine the time spent driving a few kilometers to reach the nearby Mall or Shopping Centre, parking your vehicle, reaching out to the store – only to find out that what you wanted wasn’t available and end up buying what was! Shopping online will serve this need. Even if the product is not available, the shopper can leave a “Notify Me” message to the e-tailer. Once the product is made available, the potential customer is informed. While this is possible in the real world as well, the shopper has to undertake two visits for the same purpose, spending precious time, money and fuel. 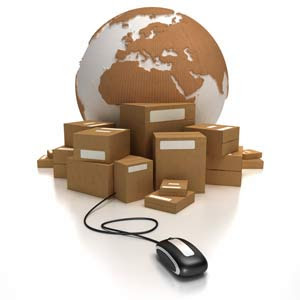 While ordering online, the customer also gets the product delivered at their doorstep free of cost from Indiaplaza.com for most items – all with a few clicks while having some free time. I also believe that e-shopping will become a family activity sooner than later. For example, if a family plans to buy an LCD Tv or a Washing Machine, the whole family can spend a few minutes at sites like Indiaplaza.com and choose their preferred model. For mundane day-today activities such as buying grocery and household items too, internet would become the preferred way to shop. I wish this interview is played back after 4-5 years! Pawan: What are Interesting challenges you see in e-Business growth in India? And what do you foresee the key drivers for e-Business growth in India in years to come? Shriram: The biggest challenge (read competition) to e-commerce players is, well, the offline retailers. The effort lies in moving the customers from physical shopping to online shopping. Even in Metro cities like Delhi, Mumbai or Bangalore, e-shopping is restricted only to a few categories. This will grow exponentially due to the obvious reasons of word-of-mouth and convenience (due to lack of time). Things would be more interesting in the Tier II and III cities. Organized Retail penetration is restricted with one or two shopping centres and not many retailers have their stores established there. Even if they do, they may not carry their entire range of products – across sizes and colours 24/7, 365. Many Retail Brands haven’t taken up the E-Commerce opportunity too seriously today. While they are happy to sell their products outright to e-commerce companies, they are not too keen to walk the path. One possible reason for this could be that such an act may threaten (seemingly) their franchisee stores or their own stores. But this would change sooner than later. Well, there wouldn’t be an option I guess. Many years back, I was part of the team that set-up (Organized) Travel Retail in India at Bangalore International Airport (BIAL). At that time, most brands were reluctant to enter this segment. Today, between Delhi, Mumbai, Bangalore and Hyderabad – these four airports manage a Rs. 1,000 Crore Turnover! While some brands realized the potential early, many missed the bus. I see the same thing happening to online retail. It is in the interest of the brands that they jump this bus sooner than later! Pawan: What is your advice to budding Indian Entrepreneurs for building successful online businesses? Yet another mall opened its doors recently in Bangalore – this time in the far eastern limits of Bangalore, near Whitefield. After a successful launch at Pune and Mumbai, the Mumbai-based Phoenix Mall Management has launched their prestigious project in Bangalore. This is the largest mall in town with an estimated 1.80 million square feet of space – a multi-development concept and one of its kind in the city that also includes a half a million square feet of office space, a 5 Star hotel with 236 rooms, a service apartment with 174 rooms and a multiplex spread over 55,000 sq ft. The external beauty lies in the fact that it is horizontally spread than vertically – all of four floors and a lower ground which connects directly to the most spacious parking lot which is well spread and brightly lit. The construction architecture is minimalistic with no jazz – focus is on the Retail Stores than crazy designs and confusing walkways. This mall also launched for the first time in Bangalore, marquee brands such as Zara, the Spanish fast-fashion retail chain in a JV with the Tatas (Also Read: Starbucks India – a TATA Alliance), Calvin Klein, Gant and California Pizza Kitchen. The main anchors include Big Bazaar, India’s largest Grocery and Homewear Hypermarket chain, MAX Hypermarkets, Reliance Trends, Reliance Digital and Reliance Time-Out. Regular Mall names such as Benetton, Tommy, Fab-India, Titan, Louis Philippe, Arrow are present while a few such as Café Coffee Day, Barista are conspicuously missing! The best thing about the mall is that it has everything – for the first time, multiple entrances – from the main entry gate, from the sides (Drop-off area), and from the basement parking area. The Ground Floor (entry level) is rather wide and broad – spacious enough to make it appear like a premium mall. Tommy, Gant and Zara welcome visitors with their bright signages and show-windows. Once inside, the shopper gets to see the wide expanse through well thought out and planned cut-off areas – from one floor, there is ample visibility to other floors. The anchors are also well spread. Big Bazaar is closer to the Parking Area so it would be easier for customers to take their shopping trolleys to their vehicles; however one needs to walk almost half a mile to the main road if they don’t have a personal transportation – an area that must have been given thought to. Max Hypermarkets welcome you once the shopper enters from the lower basement. Pantaloon Fashion store is placed in the upper floor while Reliance Digital (the Electronics Store) is in the lower basement too. There is a small gifts shop – all of 400 sq ft which is packed with curious onlookers for all the fancy cheap Chinese imports that the store has. The Foodcourt is as always, on the top floor nearer to the Cinema Halls while the Gloria Jeans coffee shop is sadly placed beneath an escalator with sparsely spread out seats – some wooden and some sofa seating in some random manner! Obviously, the café doesn’t commensurate its great coffee with its ambience. The other coffee shop, Costa is placed on the top floor – some logic I guess! I walked for over an hour, before understanding the layouts and placements, familiarizing myself – I scored lesser marks in my own purview although I wonder if shoppers would get to know it even after as many as 3-4 visits. Zoning, which I know personally had taken many months with inputs from some fabulous international consultants is to say the least, sad. Maintenance costs would be sky high I guess – air-conditioning such a wide area with two dozen security guards for over 14 hours a day is not going to be cheap or easy. The escalators – onward and downward are placed next to each other thereby not diverting traffic in various directions. Signages- although we don’t read as much – are scarce. Overall, this Mall has tried to become everything to everyone – a premium mall in one-fourth of its space and a normal neigbourhood shopping centre with the rest. While Big Bazaar and Max are expected to draw a different set of clientele than, say a Zara or Gant, they are placed far behind – from a real estate point of view, this probably makes sense. But just that. Most people who intend to shop at a Hypermarket would be passing through premium retail stores – not only would they find it out of place but also a bit weird. Also, the Hypermarkets, whose predominant customer base are those who depend on autos and two-wheelers would find it taxing to come and shop here. And btw, Big Bazaar has its store close by – within a 3 km distance to be precise. Other than being a show piece, I wonder if they have any other reason to be here. And for the customers of premium Branded Retail stores – the car parking areas are just too far away. Wonder if that would put them off. Except if they have specifically come to shop at, say the iconic Calvin Klein. Firstly, does Bangalore need such a large Mall? With congested roads and consistently heavy traffic not just at the CBD but almost everywhere in the city, what we need are a number of neighbourhood malls – within a 4-5 sq km radius and within a 15-20 minute drive. And this everything under one roof doesn’t work as much. Bangalore, or most Indian cities do not attract a huge tourist population such as Dubai or Singapore. Nor are our prices globally competitive, rather more expensive. The semi-urban crowd that comes to the larger metros and cities rather stick to traditional shopping areas (Read: Downtown shopping centres, predominantly the semi-organized retail stores). The Mall also needs to attract 3-4 times what the best Mall in town attracts today – to support the single-digit conversions at its stores. For a Mall that is located so far off, it is anybody’s guess if the Mall or its tenants would do well in the first few years. Maybe over 3-4 years, the location would attract some traction. Needless to say, the group has invested significantly and so have the Retailers. Here’s wishing them good luck in times to come.